I’ve worked as a general contractor for over 30 years and the number one question I get asked is, “How can we reduce project costs?” Over time, I have learned that although there are things that we (your contractor) have no control over, there are still several creative ways we can help, and better yet, there are factors that you (the client) can control yourselves to reduce your final bill. So what are they? We've partnered with The Bridge Group to offer 2 perspectives on how to save money on your next construction project. 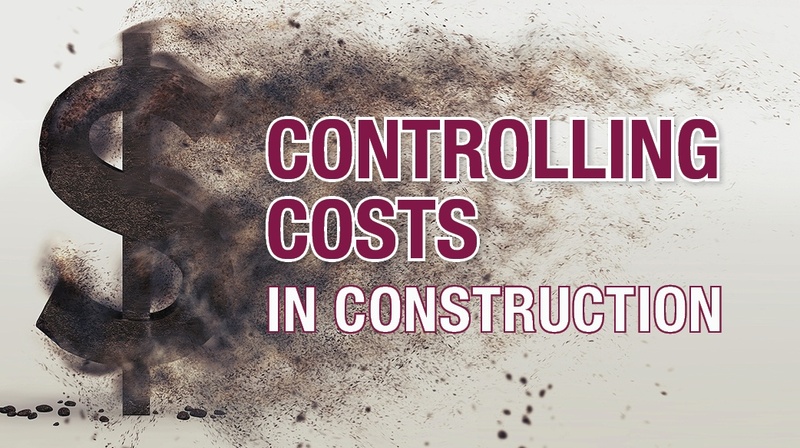 The Bridge Group offers tips to Construction Managers, Facility Managers and Operation Teams to lower construction costs in their blog post, Three Simple Ways to Control the Cost of your Next Construction Project. Alternatively, I've outlined these 3 key cost contributors below, and how you (the client / end user) can take matters into your own hands to reduce costs. Commodity prices are rising making the cost to produce and ship materials for your project higher. Assembly Bill 1701 went into effect on January 1, 2018, which now makes general contractors (GCs) financially responsible for any subcontractor who fails to pay their employees, even if the GC has paid the subcontractor for the work completed. This requires GCs to assume liability for unpaid wages, fringe and other benefit payments or contributions, including interest owed by subcontractors to their employees. Ultimately, this new law will likely lead to higher construction costs. The new OSHA Silica rules have caused subcontractors to implement new procedures and safety measures on their projects to comply with such rules, which has the potential to increase project costs. Several natural disasters have also impacted costs: Hurricane’s Harvey and Irma resulted in $200 billion in damage and the Northern and Southern California wildfires increased our already taxed housing situation which all cause further stress on construction materials and labor. Use new technology to streamline the design and construction process. Some examples of new technology are mobile applications and cloud storage for quick access to important documents; laser scanning to help capture accurate space conditions and drones to help survey the space from a different vantage point. There are ways that you can take costs into your own hands while selecting and conceptualizing your space. 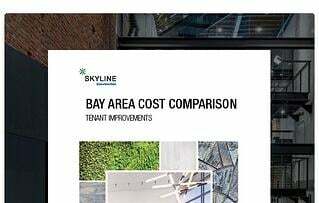 We’ve created a tool called the Bay Area Cost Comparison to help guide you towards a less expensive project. This white paper will give you an idea of what an average project might cost in your area, what factors drive cost escalation, and what cost saving measures to look for. Pay attention to the existing conditions while selecting your space. The current condition of things like restrooms, drywall, floors, window shades, etc. can either save, or cost you a lot of money. Mind the 3 F’s: fixtures, finishes and features. Work closely with your contractor to determine material cost and availability when selecting finishes like millwork, flooring, ceiling and special features like stairs, Audio Visual or kitchen appliances. Light fixture type, lighting distributors, control systems and existing wiring will also drive your costs. Examine your HVAC system’s existing condition to check the condition of the medium pressure loop, VAV boxes, ductwork and controls. Replacing any of these elements can be costly. The Bridge Group outlines their tips for construction professionals to strategize cost saving measures for their clients in their blog post, Three Simple Ways to Control the Cost of your Next Construction Project.